This is Part II in the Series of Words to Inspire Craft Creations and we are taking a look at Autumn's Potpourri of Colourful Words. As I created Part I, Spring Has Sprung for those of us living in the Southern Hemisphere, I thought it only fitting to create Autumn's Potpourri of Colours for the Northern Hemisphere. How splendidly do these words from stories, describe a crisp Autumn day? "It looked like the world was covered in a cobbler of crust of brown sugar and cinnamon." - Sarah Allen, First Frost. "Fall has always been my favourite season. The time when everything bursts with its last beauty, as if nature had been saving up all year for the grand finale." "Autumn seemed to arrive suddenly that year. 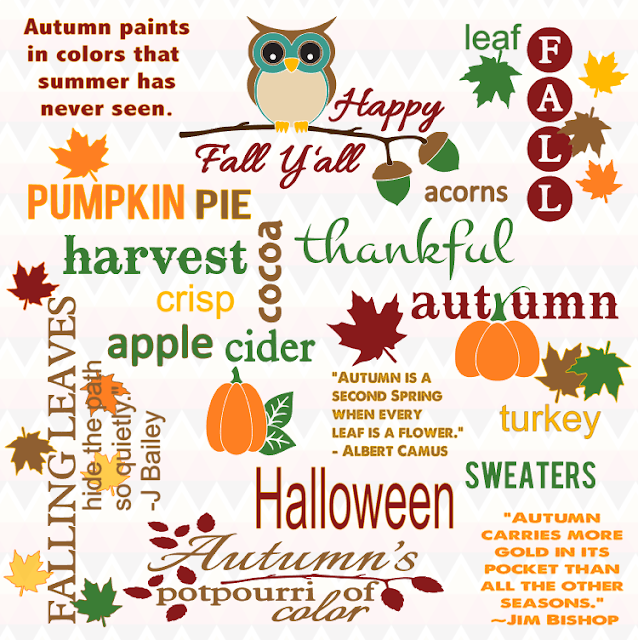 The morning of the first September was crisp and golden as an apple." These delightful words just lend themselves to creating the most splendid of Autumn creations or if you're short on time then pop on over to my Etsy Online Store: TheArtOfCreativityCo, to purchase your Halloween Cards, Prints or Gift Tags. This Poster is available in PDF and is FREE to download and print, here. You are welcome to share it, however you may not sell it. PS> Keep a look out for my Newsletter, which will be available to subscribe to soon, where I will be offering free resources, discount codes, keeping you up-to-date with what's new in my Online Store: TheArtOfCreativityCo, and such much more.